Riding, on the ranch, or for every day - the 9" Fynn boot in Chocolate from the Nocona Kids collection is designed with authentic details. Featuring a lightweight Orange air mesh upper that's breathable and resilient, it's equipped with a cushioned insole inside for comfort. 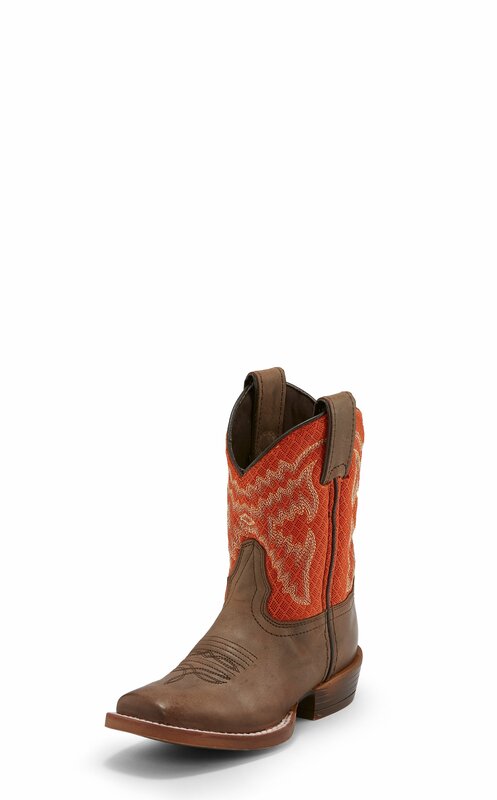 This boot is designed with a square profile toe and a just-right 1 1/2" underslung heel.